The Billy Graham Rapid Response Team (RRT) is ministering in Pittsburgh, Pennsylvania, after a gunman shot more than a dozen people at the Tree of Life Synagogue this past weekend. News reports say the shooter walked into a Saturday morning service and opened fire on the Jewish congregants. Eleven people were killed and multiple others were injured, according to the most recent news reports. Those injured included four law enforcement officers who responded to the scene. After surrendering, the suspect was taken to the nearby Mercy Hospital with injuries. 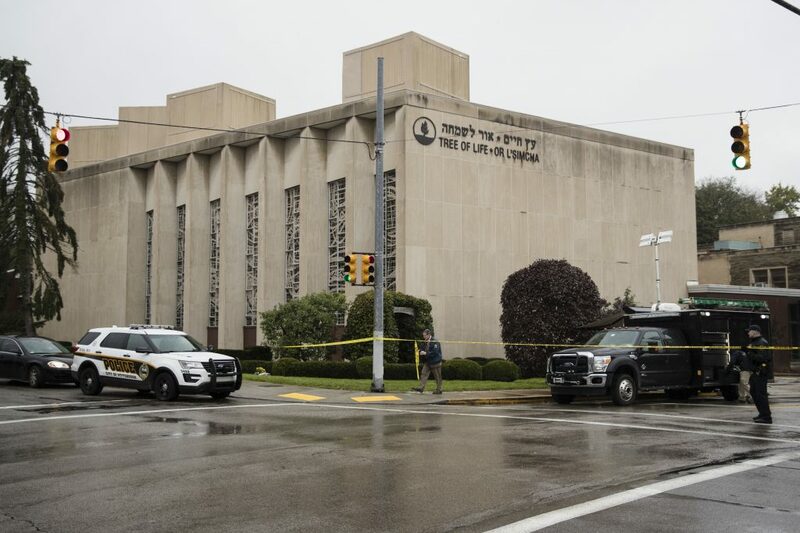 The RRT has responded to offer comfort and support in Squirrel Hill, the east Pittsburgh neighborhood where the synagogue is located. Crisis-trained chaplains arrived in the area the day of the shooting to assess how they can assist the hurting community. Please join us in praying for the Pittsburgh community and for the families affected by this shooting. In the midst of tragedy, is there any hope? Find peace here.